The University has invested a massive £90 million in the regeneration of two Grade II* listed buildings, Newton and Arkwright, at the heart of the City Campus. These landmarks have been revamped, while keeping their historic beauty, with an ultra-modern Central Court now linking them. 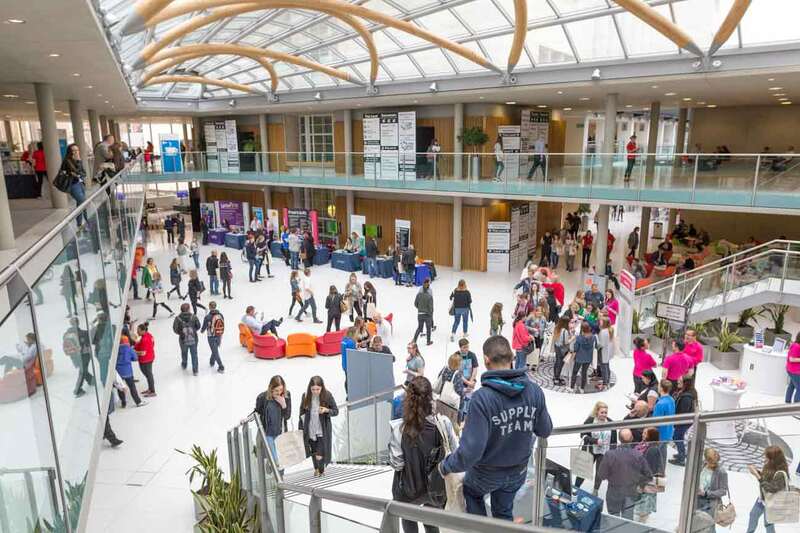 Outstanding facilities for study support are available in addition to staff accommodation, teaching and social spaces, and Nottingham Conference Centre. Our green estates strategy has also helped our ranking as one of the most environmentally friendly universities in the country. On this page we hope to open the doors to the redevelopment and show you education for the 21st Century. Our goal is that both the teaching estate and the technical support behind it should be first class. This aim is reflected in the award we have received from Cisco for our Unified Communications solution employed in the Newton and Arkwright project. The University's regeneration project has also been short listed for its Outstanding Estates Team in the Times Higher Education Leadership and Management Awards 2010. 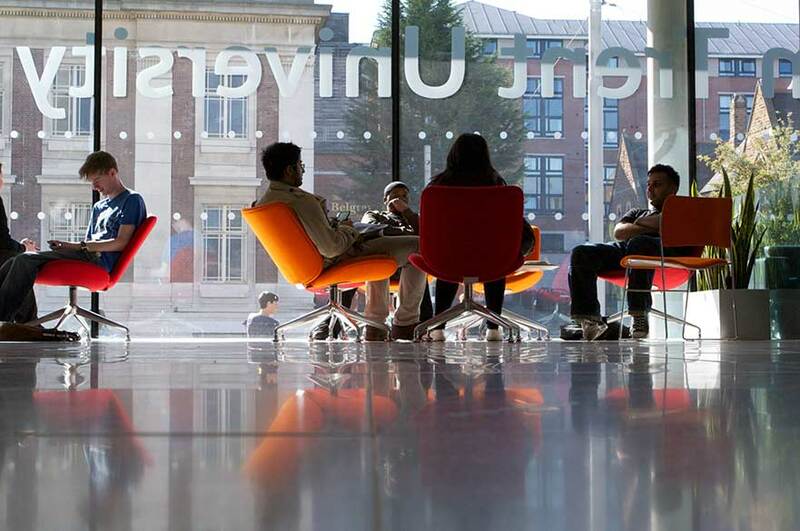 The light and airy central hub of the University's City Campus is the ideal space for students to relax and share ideas. You can choose from the Central Court, Newton Forum or Benefactors' Court to socialise in a soothing learning environment. There's no need to leave the building for refreshments, as there is catering available in cafe Arkwright in addition to coffee and sandwich bars. The Student Services Centre is also conveniently located here and there are resource rooms available for PC use. 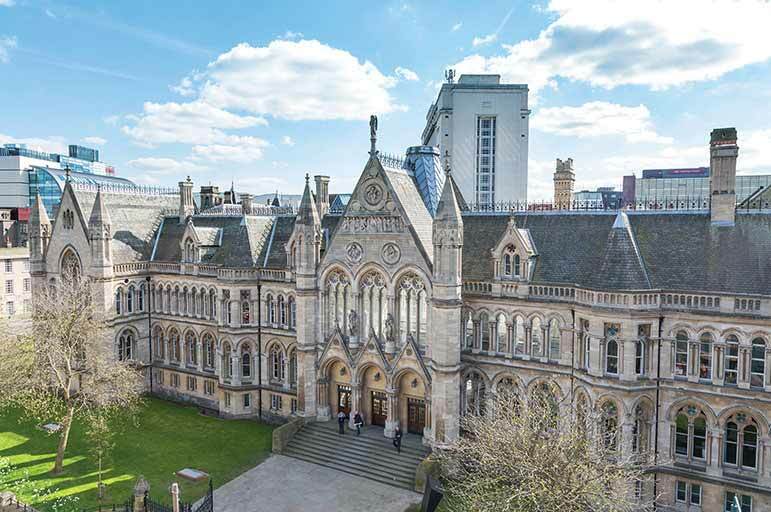 As two of the city's best known landmarks, the Arkwright and Newton buildings have played an important role in shaping the educational, cultural and social life of Nottingham. They were built almost 80 years apart and represent two utterly different architectural solutions to the needs of higher education. It was never intended that they would work together, so it's only through looking at their history that it becomes apparent how innovative and progressive the University's regeneration project is for the city. Built in 1877-81 with an elaborate Gothic design of gables, arches and pinnacles, Arkwright was originally home to University College Nottingham as well as the city library and a natural history museum. Described at the time as the, “finest pile of public buildings in Nottinghamshire”, it was once the learning place of celebrated author D. H. Lawrence, providing inspiration for Ursula's college career in The Rainbow. It was also the building where, just over 100 years ago, groundbreaking work by Professor Frederic Stanley Kipping led to the discovery of silicone polymers and spawned a multibillion-pound industry. The neighbouring Newton building was added in 1956-8 as part of the expansion of what by then was the Nottingham and District Technical College. A magnificent example of mid-20th Century architecture, it is one of the tallest buildings in Nottingham and boasts a striking art-deco style. Officially opened by HRH Princess Alexandra of Kent in June 1958, it wins instant recognition today as one of the flagship buildings of Nottingham Trent University. When thinking about the regeneration of these two historic landmarks, the challenge has been to create imaginative and sensitive solutions that respect the buildings' history while modernising the layout and facilities. The project result is the right balance between keeping the most remarkable original features of the buildings while providing the 21st Century facilities required by a forward-thinking university. The aim was to turn two rather tired Grade II* listed buildings with immense potential into proud landmarks at the heart of the city centre university quarter. This has been achieved through careful work with English Heritage, and principal contractor Bowmer and Kirkland, to craft an environmentally friendly redevelopment. Green credentials include the Sedum roofs, smart lifts and window blinds that enable us to maximise energy savings. There is also improved disabled access to ensure everyone can enjoy the beautiful teaching, learning and social spaces. Our vision is to be the first choice for conferencing and events in Nottingham and the East Midlands. That's why we have developed this contemporary and versatile space complete with nine comfort-cooled conference rooms housing fully supported audio-visual packages. We can cater for 12 to 350 delegates per room, depending on your individual event needs, so do not hesitate to get in touch. The centre is the first of its kind and is conveniently located in the heart of the city with state-of-the-art facilities, fantastic catering and excellent transport links. 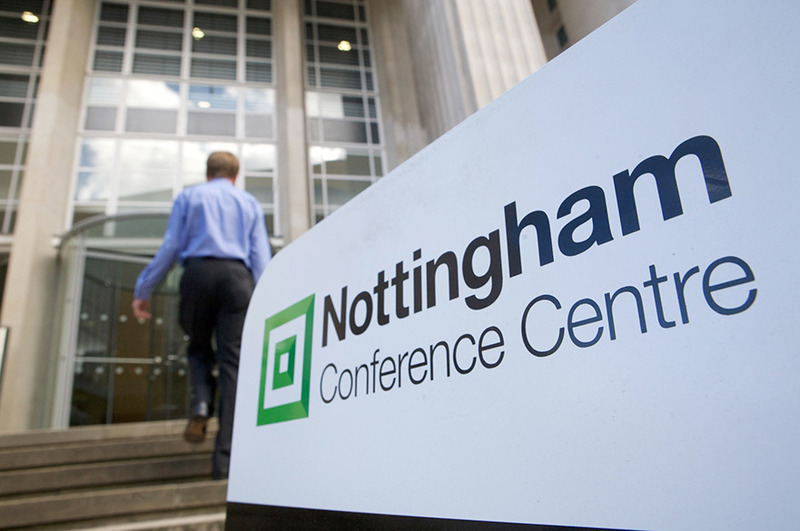 To find out more please visit the Nottingham Conference Centre website.